Archives' KV 2/27 file on Josef Jakobs are two small diary-style notebooks. Both notebooks were apparently the property of Kenneth C. Howard from Birmingham. They were sent to MI5 by the Birmingham Police in June 1941, but the only spy connection seems to be a reference to Karl Theodore Druecke (a spy who was executed in August 1941). Nowhere in the MI5 files on Josef Jakobs is there any mention of these notebooks nor any questions around Kenneth C. Howard. 2012 - Apr - Who is Kenneth C. Howard? Today, thanks to another author, Traugott Vitz, the mystery is solved! Herr Vitz was kind enough to direct my attention to file KV 2/1701, a file on Druecke, Walti (Peter) and the beautiful Vera, that I had missed on my last whirlwind trip to the National Archives. Within KV 2/1701 are two documents which reference the two diaries. I have to report that on Sunday, 1st June 1941, a communication was received from the Chief Constable, City Police Headquarters, Leicester, enclosing a diary dated 1936 and an address book. These apparently belong to Kenneth C. Howard, sometime of 17, Evelyn Road, Sparkhill, and contain a number of German references, also two addresses in Birmingham. I have made enquiries at 17 Evelyn Road, Birmingham but there is no trace of Howard ever having lived there. Enquiries at 86, Durham Road reveal that Eric Porter, whose name is mentioned in the address book, left this house about four years ago. His present whereabouts are unknown. I visited 45 Shepherds Green Road, Birmingham and interviewed Mr. S.F. Philpot, whose name is also mentioned in the address book. He told me that he did not know Kenneth C. Howard, neither did any of the names contained in the address book convey anything to him. He is unable to explain how his name and address became known to Howard. it will be seen on page 64 of the diary that Howard at one time lived at 120 Durham Road, Bromley, Kent. I respectfully suggest that this report together with the address book and diary be forwarded to the Commissioner of Police of the Metropolis, New Scotland Yard, London, S.W.1., for any action he may deem advisable. Finally, some piece of paper documents that these diaries actually existed! There is, however, a mystery that still remains - how did these diaries end up Leicester? Who found them? Who turned them in? The Metropolitan Police conducted a more detailed investigation into the diaries and sent the report to Lt. Col. Hinchley-Cooke. Enquiries have revealed that a family named Howard lived at 128 (not 120) Durham Road, Bromley, Kent, from 2.5.1931 until 17.6.1936. The rated occupier was Frank Howard, who lived there with his wife, Flora, nee Mitchell, and son Kenneth Clifford. Frank Howard was a blouse merchant and had a business under the style of 'Flora Mitchell' at 21, East Street, Bromley, where his wife assisted in dressmaking. I was informed that towards the end of his stay at 128 Durham Road, Howard was in some financial difficulty and took employment as a salesman with "Hoovers". Enquiries of Messrs., Hoovers Ltd. Westway, Perivale, fail to show that Howard was ever so employed. On leaving Bromley, Frank Howard gave as his intended address, 17, Evelyn Road, Spark Hill, Birmingham - the address which appears in the notebook mentioned above. No member of the family is known to have returned to London. Kenneth Clifford Howard was born on 4th June 1921 at 3, Leigham Court Road, Streatham. He attended Bromley County School, Hayes Road, Bromley Kent. From the fact that he could have been no more than 15 years old when he lived at Bromley, it would appear that he was impelled by a boyish interest in detectives in making several of the entries in the notebook. Examination of the diary bearing Kenneth's Howard's name revealed the entry, made in pencil, for Wednesday, 13th May, 1936, as follows: - "Today my friend & (?) Ally Karl Theodor Drucke 30 years old. Was today sentenced to 3 yrs imprisonment and 10 yrs banishment". 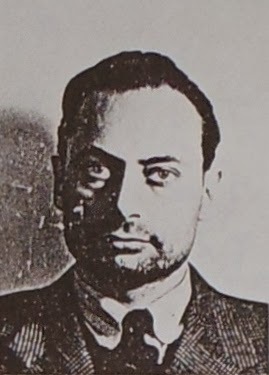 Drucke would appear to be identical with Karl Theodore Drueke, born 1906, who was sentenced to a term of imprisonment in France some years ago, and on 16.6.41 was sentenced to death at the Central Criminal Court for treachery with intent to assist the enemy. The police reported also traced 9 of the people/addresses in Kenneth's notebook. None of the people who were traced knew the Howard family. A bit of searching on Ancestry has not revealed much, although one Kenneth Clifford Howard, born in 1921, passed away on June 29, 2014 in Poole, England. What happened to Kenneth between 1936 and 2014? Impossible to say. His death record will also be inaccessible for a few decades, so, at this point, we are at a bit of an impasse again. On the other hand, the reference to the diary and the address book in KV 2/1701 have cleared up a bit of the mystery. From what I can gather from the minute sheets and cover pages of this sequence of files... this file was found in Lt. Col. Hinchley-Cooke's office. How the notebooks ended up in Josef's file is another mystery. It seems that when one is successful in solving one mystery, several others pop up!